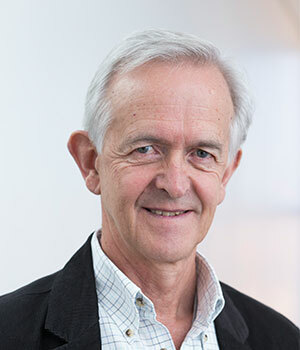 Karl has been a full-time professor at the Gordon Institute of Business Science (GIBS) since 1999, teaching in the areas of leadership and organisational behaviour. Between 1999 and 2009 Karl was responsible for the Custom Programmes unit at GIBS. He has also been a visiting professor at the HEC business school in Paris and at the University of British Columbia. Price, G., & Hofmeyr, K. (2017). The transition to general management in South Africa. South African Journal of Human Resources Management, 15, 1-14. Nakazwe-Masiya, L., Price, G., & Hofmeyr, K. (2017). Effects of the imposter phenomenon on measures of assertiveness in female professionals in South Africa. South African Journal of Labour Relations, 41(1), 46-56. Crawford, V., Hofmeyr, K., & Price, G. (2015). The relationship between personality and the capacity to think strategically. South African Journal of Labour Relations, 39(1), 131-154. Van Melle Kamp​, C., Hofmeyr, K.B., & Adonisi, M. (2014). The CEO’s route to the top: T​​​​he South African experience. South African Journal of Labour Relations, 38(2), 103-120. Pillay, D., Hofmeyr, K., & Wöcke, A. (2014). Mission attachment and job embeddedness in the trade union sector in South Africa. South African Journal of Labour Relations, 38(1), 31-52. Marais, A., & Hofmeyr, K. (2013). Corporate restructuring: Does damage to institutional trust affect employee engagement? South African Journal of Labour Relations, 37(2), 9-29. Louw, K., Sutherland, M., & Hofmeyr, K. (2012). Enabling and inhibiting factors of productive organisational energy. South African Journal of Labour Relations, 36(2), 9-29. Richardson, A., Cook. J., & Hofmeyr, K. (2011). How leaders generate hope in their followers. South African Journal of Labour Relations, 35(2), 47-66. Hofmeyr, K., Templer, A., & Beaty, D. (1994). South Africa: Researching contrasts and contradictions in context of change. International Studies of Management and Organisation, 24(2), 190-208. Templer, A., Beaty, D., & Hofmeyr, K. (1992). The challenge of management development in South Africa: So little time and so much to do. Journal of Management Development, 11(2), 32-41. Goldman, M., & Hofmeyr, K. (2015). Jacques Faul and Cricket South Africa (Case Study No. 9B15C035). Ontario: Ivey Publishing.